Author: Season Tse. The pH of an artifact is an important consideration when selecting suitable conservation treatments, storage conditions, and accompanying exhibition materials. 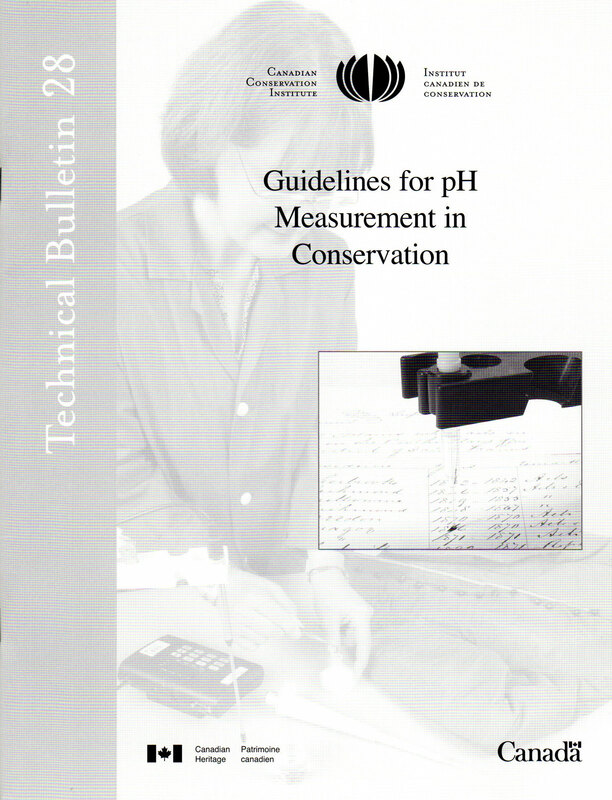 Determining pH is therefore a common procedure in the assessment and documentation of museum objects. pH measurement is generally simple and straightforward. However, the constraints imposed by artifacts can complicate the process and produce ambiguous, difficult to interpret, or erroneous results. This Technical Bulletin discusses the principles behind reliable and reproducible pH measurements, points out common pitfalls, and suggests ways to determine the pH of many materials found in museum objects. Descriptions of general measurement procedures are included, along with a comparison of various methods of measuring devices.